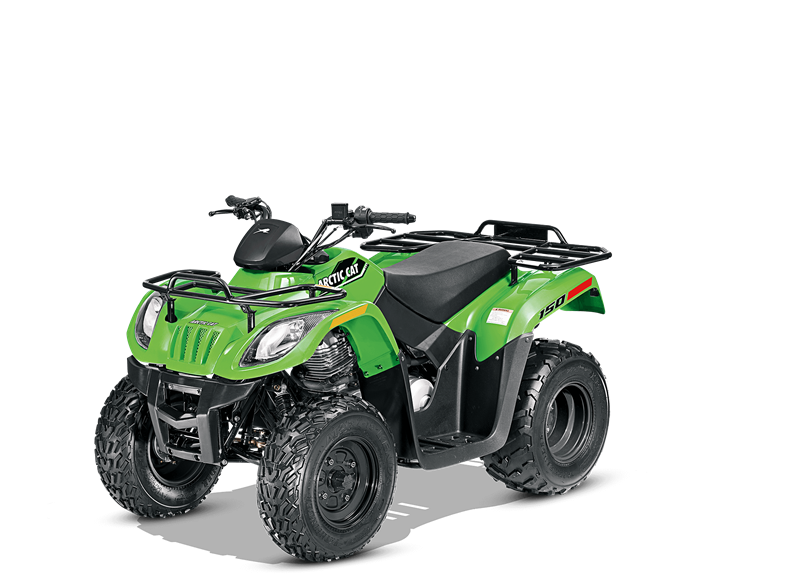 A fully independent front suspension with adjustable shocks makes the 300 a force to be reckoned with. On or off trail, this suspension takes what you throw at it and keeps going. They have to grow up some time. The 149cc single-cylinder 4-stroke is air-cooled and provides the rush your young one has been craving. Top speed is governed to 20 mph, but can be adjusted up to 30 mph when you feel they’re ready to step it up even more. The digital gauge features large critical operation information indicators: clock/hour meter, fuel level, mode button, set/reset button, odometer, gear position lights, speedometer and high-beam light. Strong, durable and made of high-quality steel. The 150 is rated for 25 lbs. carrying capacity on the front and 50 lbs. on the rear.